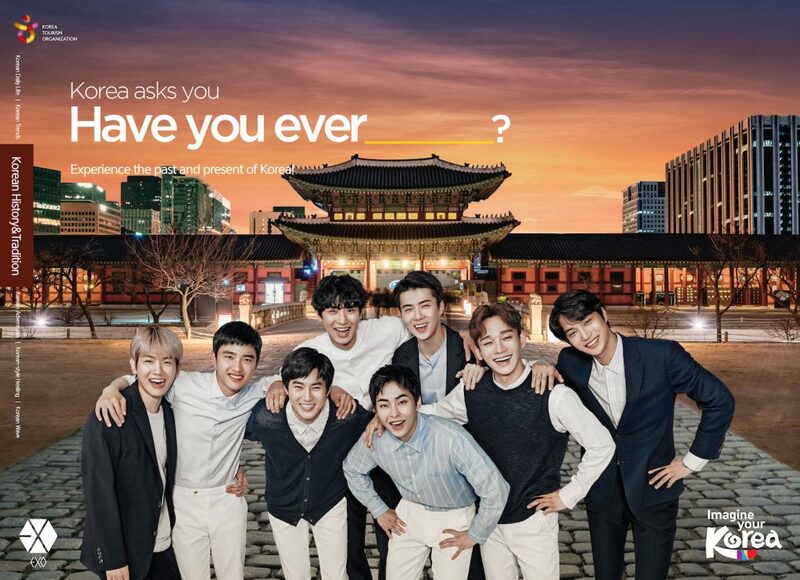 EXO, one of the world’s biggest K-Pop groups are starring in a new international marketing campaign designed to boost tourism to Korea. Eight members of the band appear in videos produced by the Korean Ministry of Culture, Sports and Tourism and the Korea Tourism Organization (KTO) to promote Korea to a wide range of international tourists. Focusing on digital media and keeping in line with trends of global tourism and of individual travellers in Korea, the adverts were created with diverse experiences and broad audiences in mind. 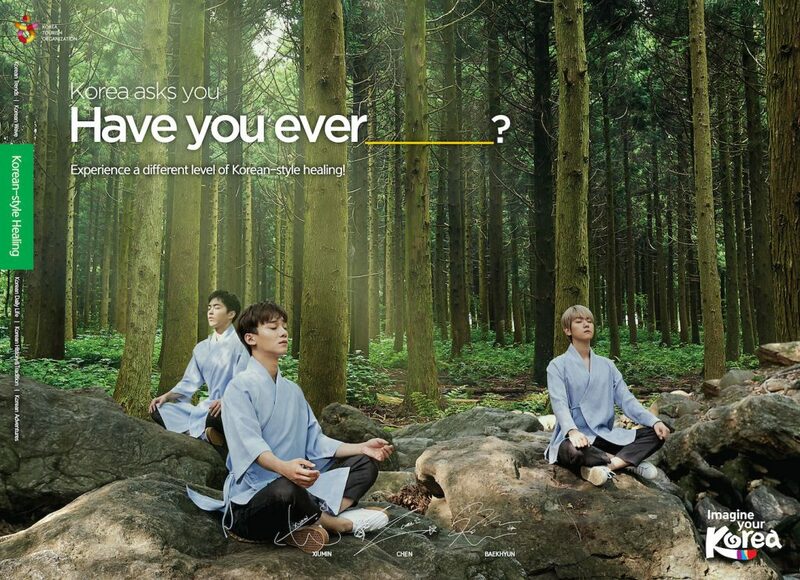 Eight members of K-Pop superstars EXO, 2018 honorary ambassadors for Korean tourism, introduce various experiences that can be enjoyed in Korea through six themes – history and tradition, Korean daily life, adventure, trend, healing, and Hallyu (Korean Wave). In addition to high-profile ‘peace tourism’ experiences on the Korean peninsula including visits to the DMZ (Demilitarised Zone) and Imjingak Resort, the campaign also features everyday and arts-related experiences such as night markets, spas, museums, concerts and more. In addition, various local tourist attractions such as Boryeong Mud Festival, Suncheonman Bay mudflats, the Tongyeong Luge Experience, and Jeju’s famous haenyeo (female divers) are also introduced. KTO explained the aims of the campaign, saying: “Recently, the Korean Wave has spread from K-Pop and K-Dramas to other cultural aspects and everyday life in Korea. Through K-Pop stars EXO, these ads will capture the eyes of consumers around the world with Korean daily life and cultural experiences. The new campaign began in August with the release of the first teaser advert, and will continue until the end of the year via television and various digital channels including Youtube and Facebook. All videos can be viewed at the official KTO Youtube channel.